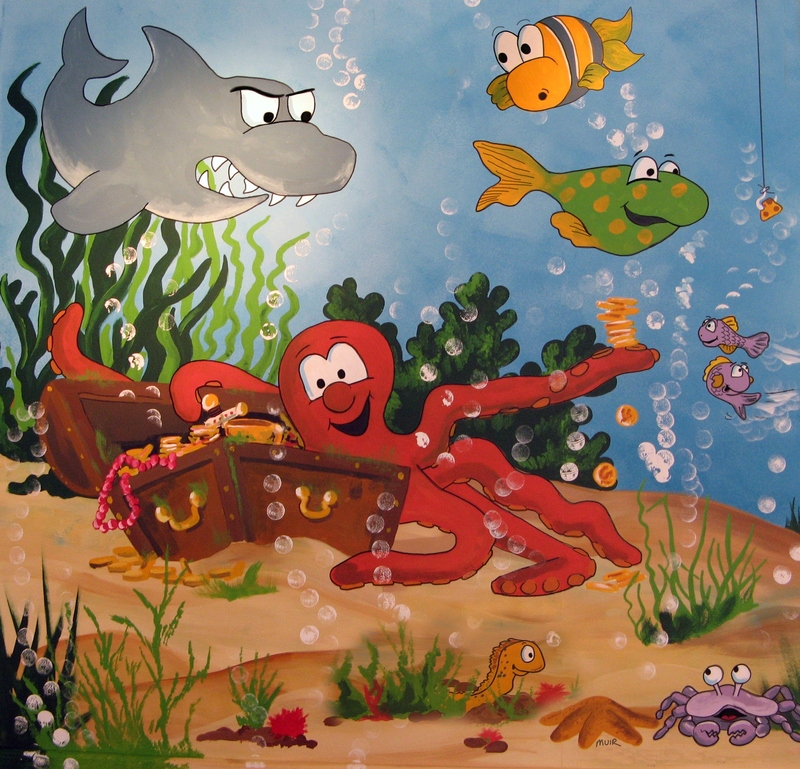 Take a dive into the deep blue sea with our underwater mural. 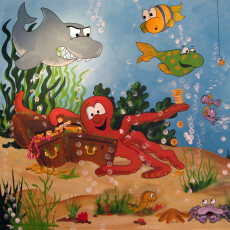 This colourful illustration depicts an imaginative scene of a treasure hoarding octopus, surrounded by fish, sharks and other deep-sea critters. Use it as the centre-piece for your ocean or even pirate themed child's room and you'll be rewarded with a unique-looking room full of character.